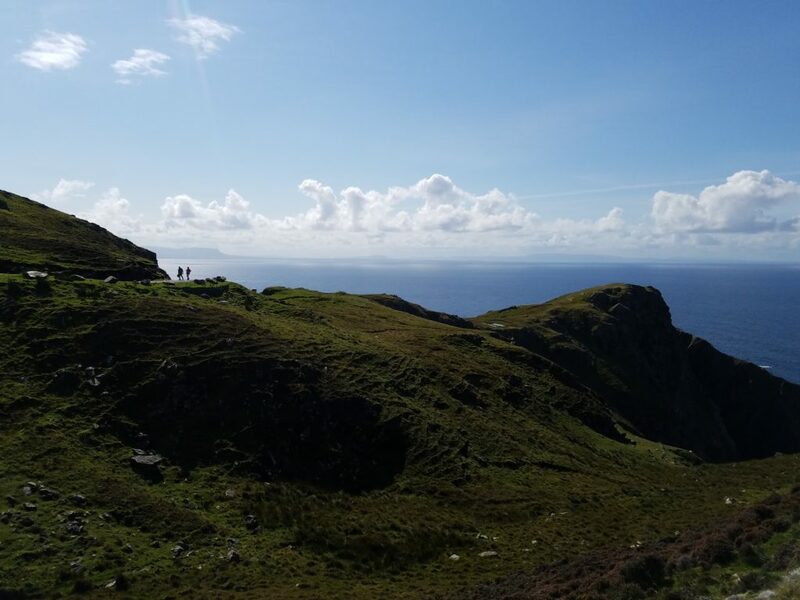 This hike was during the trip to Ireland last Summer with my mom. Croagh Patrick is known as Ireland’s holy mountain, because Saint Patrick is reputed to have fasted and prayed on the summit. When I realized that we were so close to this famous mountain, I knew that I wanted to hike it if possible. The day started with a 15 minute taxi ride from our hotel in Westport, County Mayo to the trailhead. I hiked alone up the trail, and into the clouds to reach the summit. There is a chapel on the summit, but it was closed and locked. The weather worsened during the time on trail, and it was raining gently for the descent. This sign at the bottom of the trail describes activities required to complete the Croagh Patrick “pilgrimage”. I heard that some pilgrims even make the hike barefooted! I completed the hike, but not the pilgrimage requirements. After the hike, I had lunch with my mom in Westport. 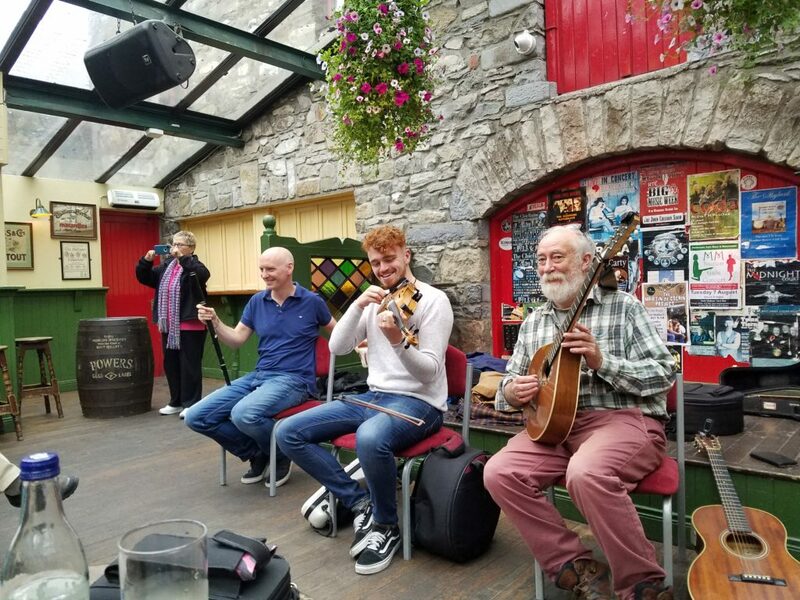 That evening, our tour group enjoyed a private concert of live traditional Irish music at Matt Molloy’s pub, with Peter Molloy (flute), Joseph O’Leary (fiddle, bodhran), and Tony Reidy (guitar, vocals). My mom and I took a 2-week trip to Ireland in August 2018. The trip was through Inishfree Irish Music Tours with tour guide Hugh Carthy and tour leader Tim Grimm. The tour featured sightseeing during the day, and private concerts of traditional Irish music each evening. It was all wonderful. 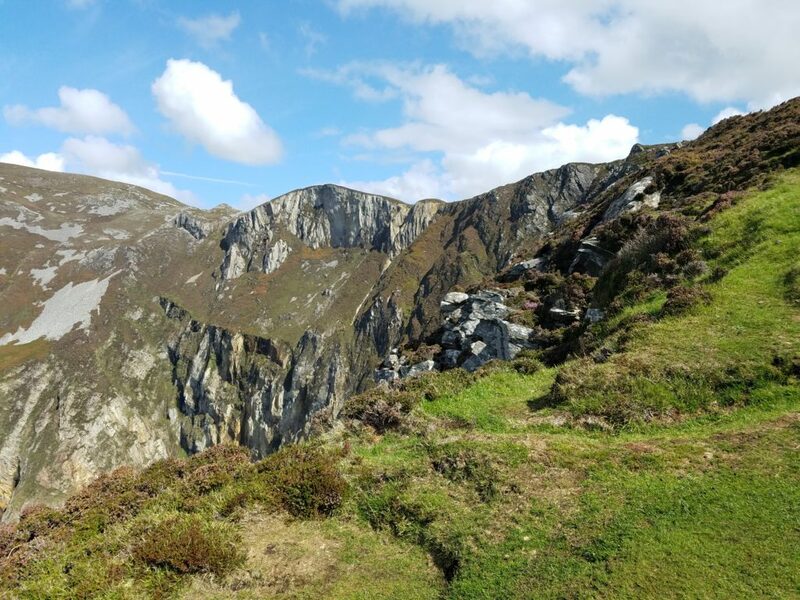 The highlight of our fourth day in Ireland was Slieve League cliffs in County Donegal. The schedule included enough time to hike from the Teelin cafe to the cliffs. Some of us hiked, and others rode the bus to the upper parking lot. Some of the musicians we met in Donegal were Ian Smith (guitar and vocals), Martin Crossin (uileann pipes) and Stephen Campbell (fiddle and vocals). We listened to live music that night at The Reel Inn in Donegal Town. 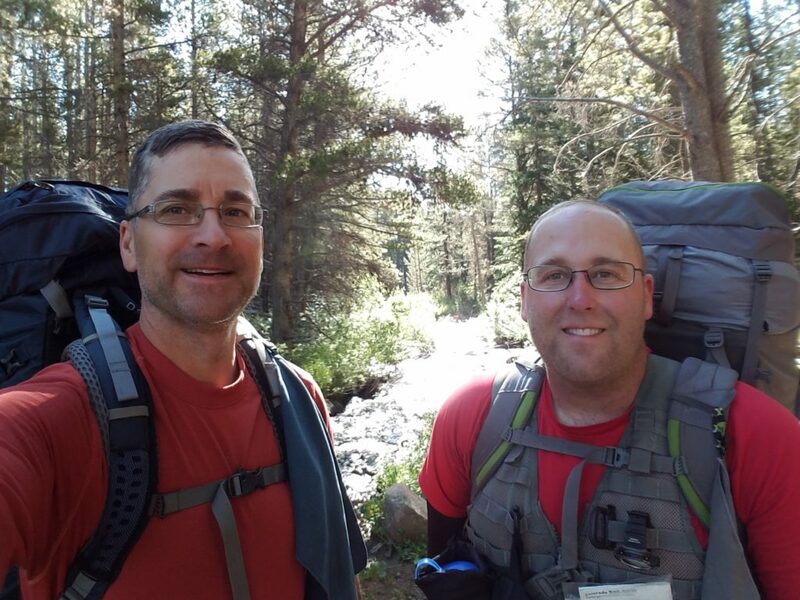 In 2017, my friend Chris invited me to join him on a 1-week hike of the Colorado Trail, which he had planned for Summer 2018. 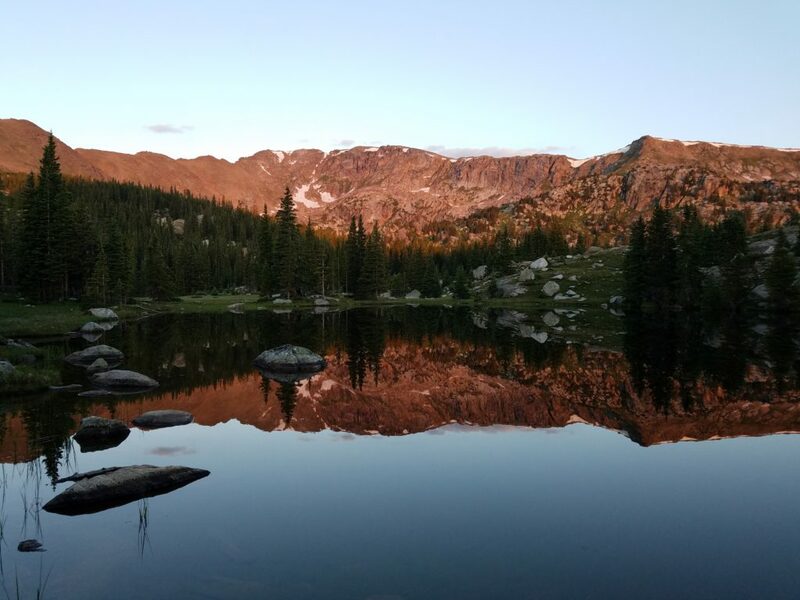 My previous experience has been as a day-hiker, so multi-day backpacking was going to be a new challenge. It was fun to expand my horizons and try this new experience. 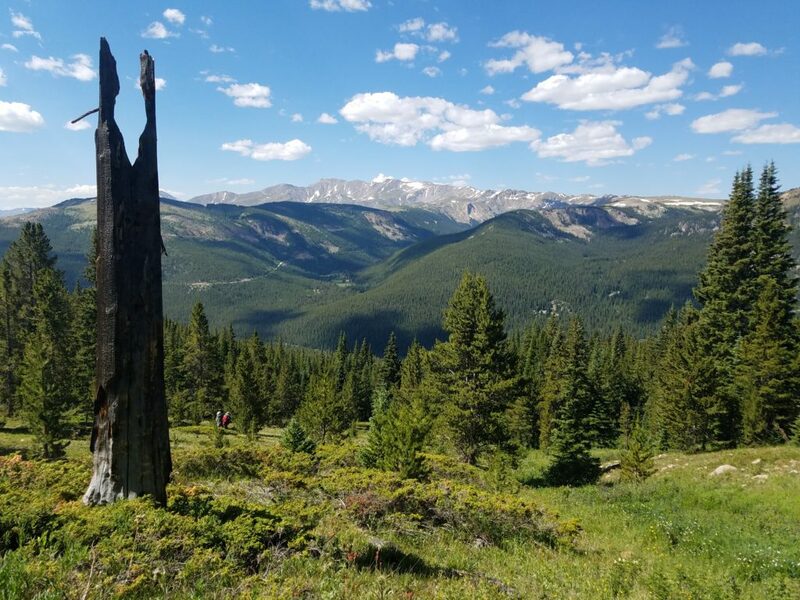 The Colorado Trail (CT) stretches 486 miles from Denver to Durango, and is divided into 28 segments. We had originally planned to start in Durango (segment 28) and work our way northbound. However, the CT was closed near Durango due to the 416 fire. As an alternative, we decided to start at segment 8 and work our way southbound. Michelle drove us to the segment 8 trailhead located near Copper Mountain ski resort on Friday, 6/29. Thanks, Michelle! To help prepare for the multi-day backpacking trip, I watched YouTube videos and listened to podcasts. Two resources which I found particularly valuable were The First 40 Miles podcast, and Dixie on the Homemade Wanderlust YouTube channel. We also had maps and books published by the Colorado Trail Foundation. I took some long day hikes, carrying my new backpack loaded with extra gear, to get used to carrying it. Chris and I did a practice one night camp in Jones Park to test our gear. Over the 7 days on the CT, we hiked 2 sections or 40 miles total, and spent 6 nights camping. We had great weather the whole time. The scenery along the trail was beautiful. My favorite campsite was at beautiful Porcupine Lakes in the Holy Cross Wilderness. It was a good challenge to pack in the gear and food needed for 7 days. Water sources were plentiful, and our filters worked just fine. Most of the time, it was just the two of us. But we did meet friendly people along the way. At one point in segment 8 we met thru-hiker Dixie, and her friend Aaron, who were northbound on the CT. Where the trail crosses into Camp Hale, we met a kind “trail angel” Soulflower who gave us snacks and reduced our load by taking trash off of our hands. 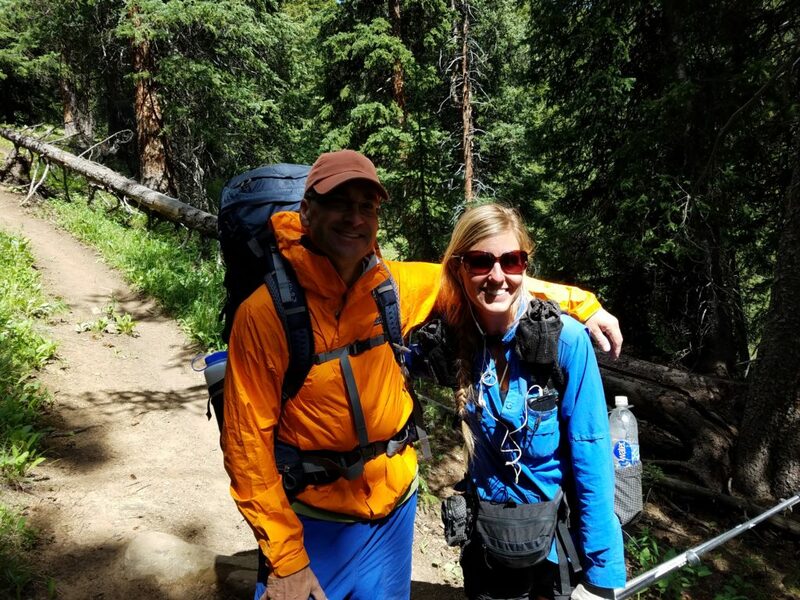 In the Holy Cross Wilderness we met thru-hikers Avalon and Tinkerbell who shared a bit about their experiences on the Appalachian Trail. The trail-names of other people we met were Cracker, Toad, Waitforme, Little Bear, and Vicious Soup. On 7/5, we were starting into section 10 of the CT. But, we decided to cut our hike short due to sighting smoke (or what we thought was smoke), and smelling smoke. We were fortunate to have a cell phone signal, and called Michelle to ask for a pickup at Turquoise Lake trailhead. Thanks again, Michelle! My main time commitment in the Summer of 2018 was a home improvement project. We hired a contractor to have a sun room addition and other work done on our house. It was a long process. Thank goodness the project is now complete! Writing this entry in my hiking blog is helpful for getting into a good mindset for 2019.